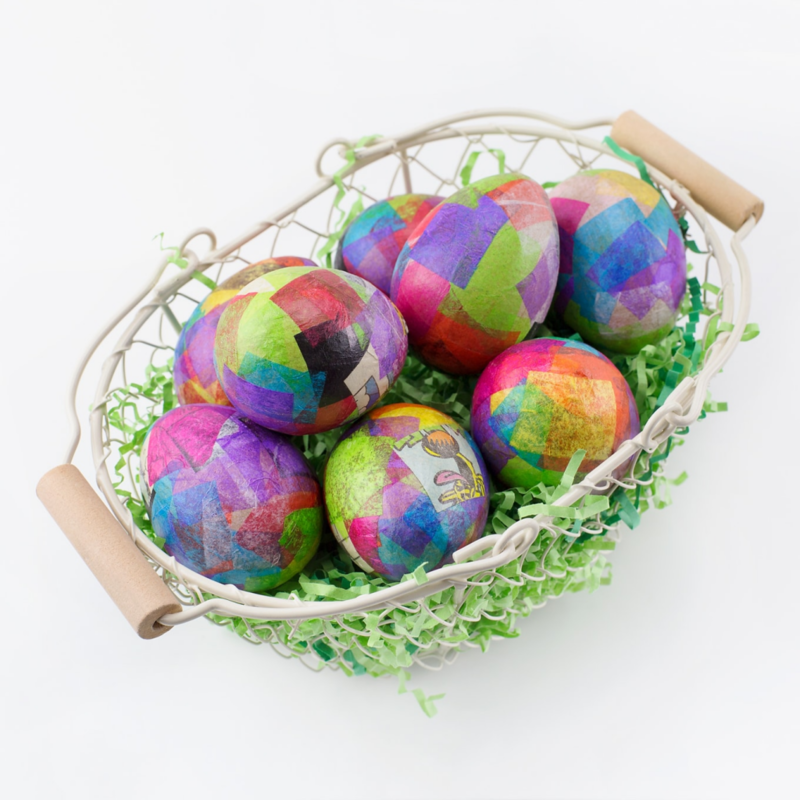 Easter is just around the corner, and in addition to your plans for an Easter egg hunt and other activities, it’s time to think about what to choose for Easter decorations and about other fun ways to welcome the season into your home. 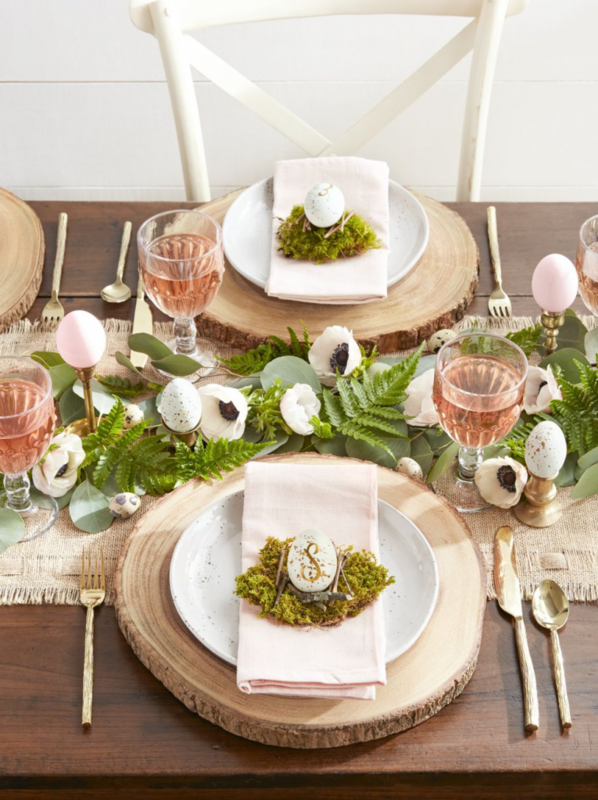 We’ve done the footwork to round up an assortment of Easter crafts and Easter decorating ideas that will make the entire time between Ash Wednesday, Palm Sunday, and Good Friday full of delight and all the wonders of Spring. 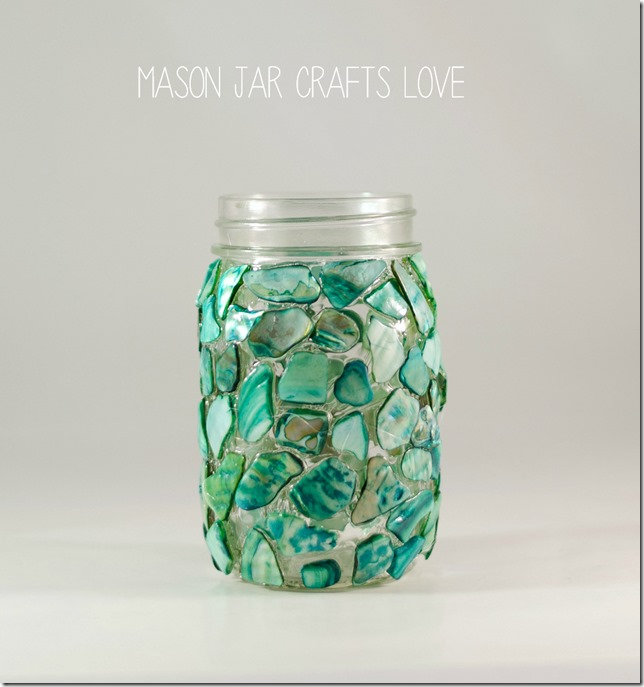 Mason jars make terrific, reusable containers. They’re easy to find and the shapes are fun to work with. 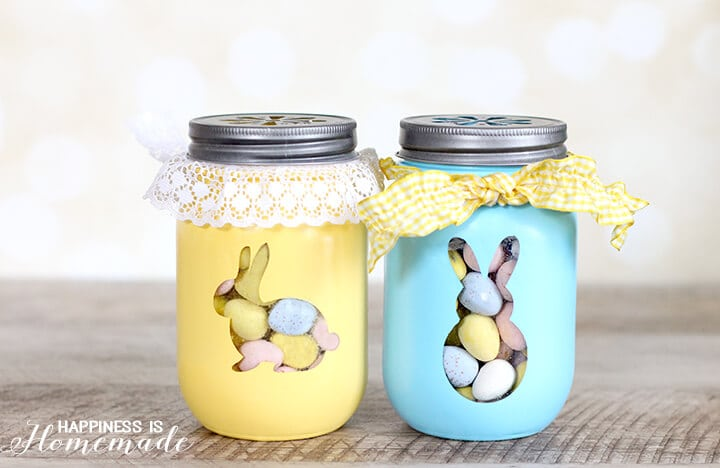 After applying a removable sticker to jars, give them a coat of paint in spring colors. When the paint is dry, remove the sticker for a window to the goodies inside. 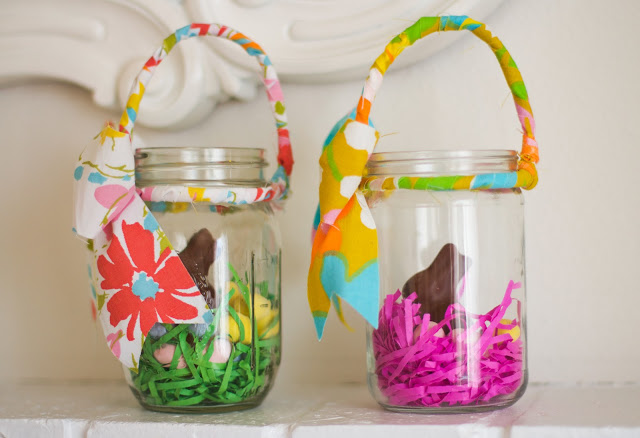 Wrap pipe cleaners with colorful fabric, and then use them to make a handle for these festive little containers that can be used well after the holiday. 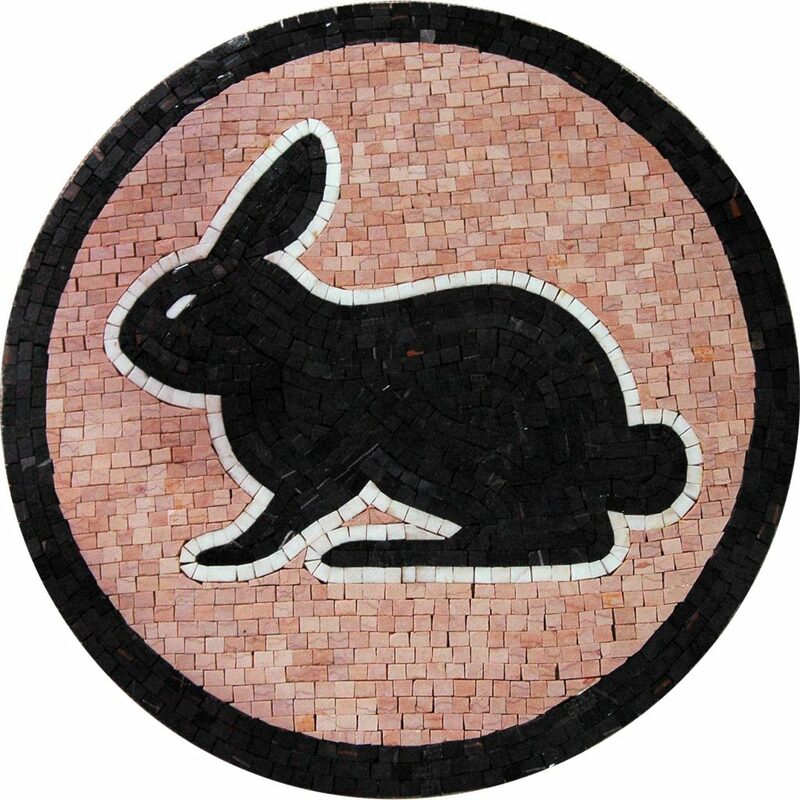 How about a mosaic version that can be used as a candle holder when the candy is all gone? 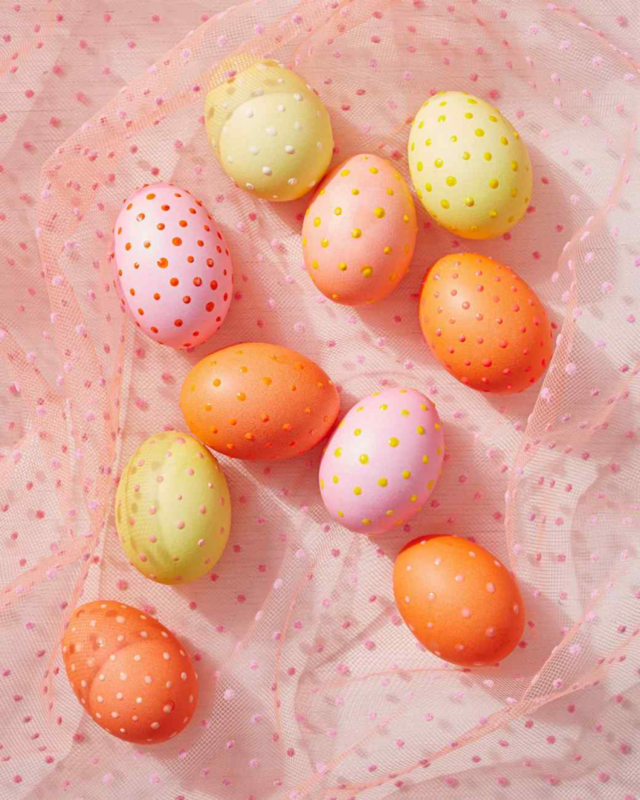 For this DIY Easter craft, simply apply the pieces with a glue gun or contact cement – leaving some room between the pieces provides a peek at the candy and will look ethereal when illuminated with a candle. 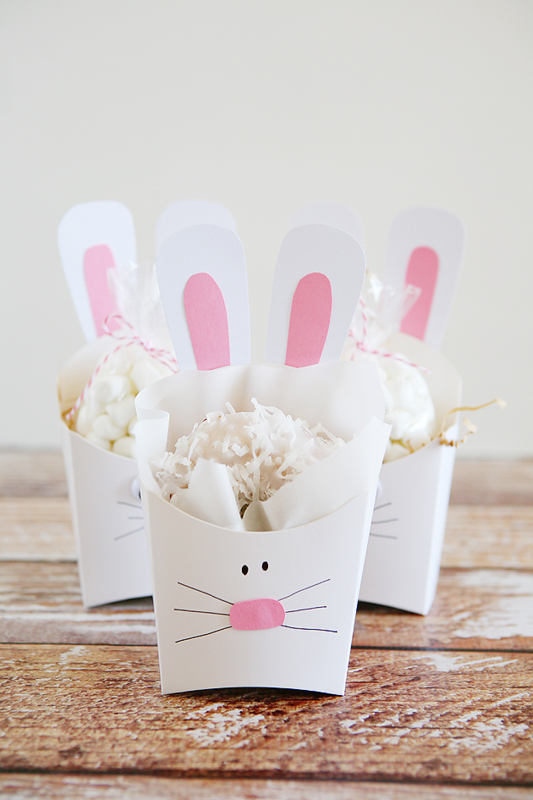 An inexpensive and easy treat box can be made from “French Fry Containers” carried at crafts stores. 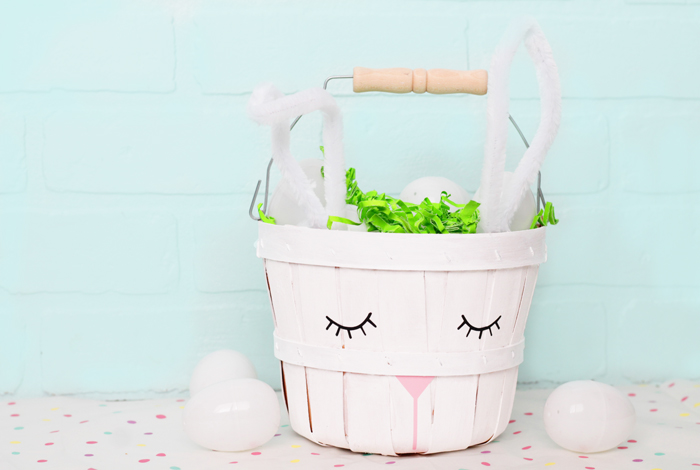 Simply draw on the face of your Easter Bunny with a black felt-tip pen, and use white and pink construction paper to cut out into the nose and ear shapes for each. 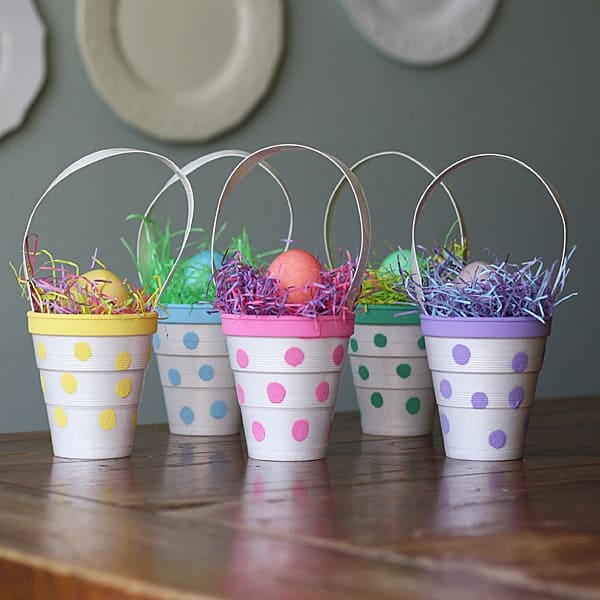 A very easy treat holder that can be done with children uses cups and some craft paint in Easter colors that is dabbed on in a polka dot pattern. 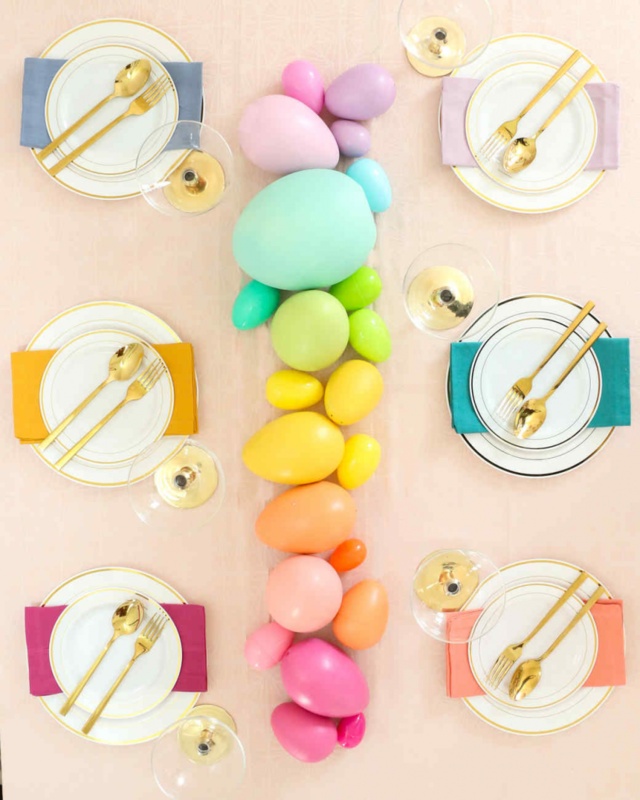 For Easter brunch or just a fun seasonal centerpiece, a fun way to enjoy trying out some DIY Easter decorations is by making your own table decoration. 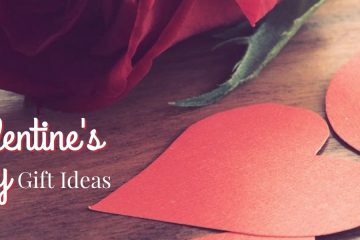 Here are some inspirational ideas to try. 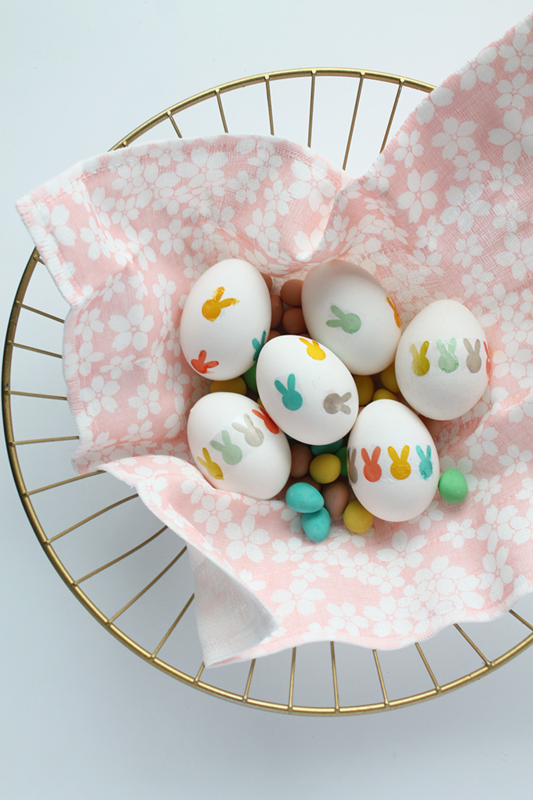 Monogrammed Easter eggs can be made with synthetic eggs and a paint marker. Just write on the initials of your guests in your most elegant handwriting for a memorable place card! 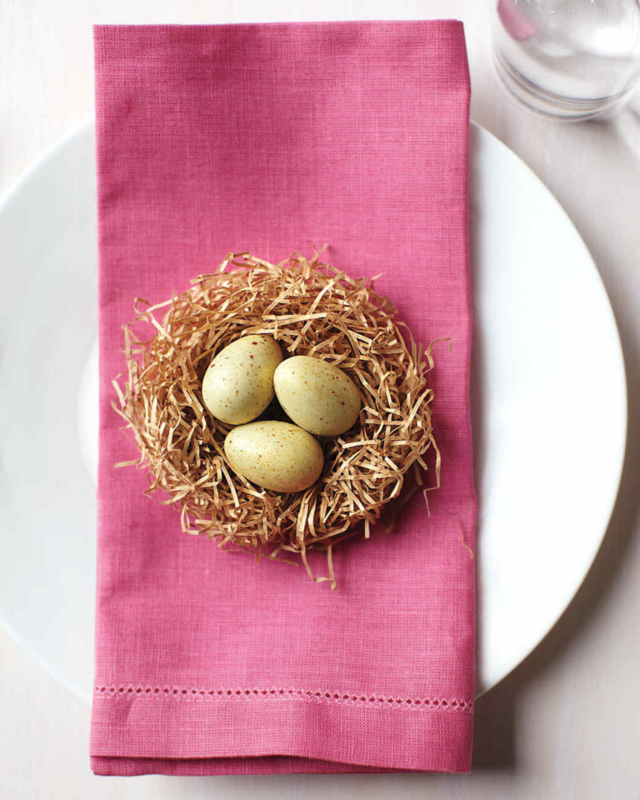 Use Easter grass to form a nest for candy eggs at a place setting. Just add water! 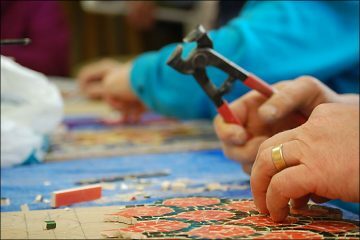 Any of these centerpieces can be created with the cut or potted flowers, and items that you will have around the house. 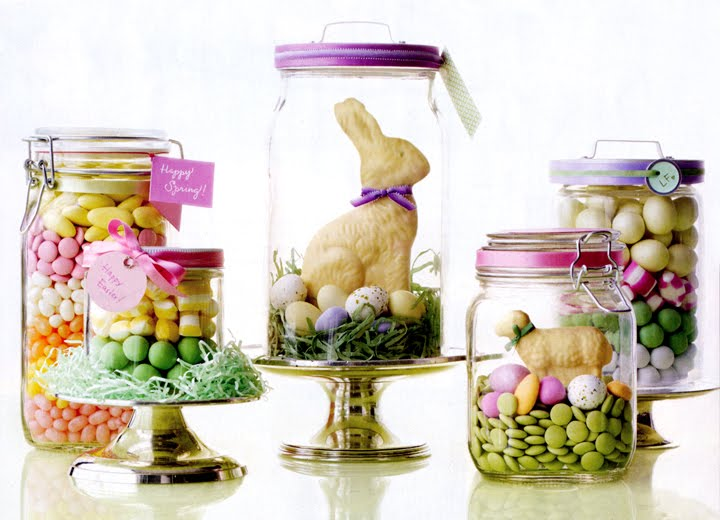 A clear glass container, any slim cylinder-shaped vase, and faux colored eggs form this creation. 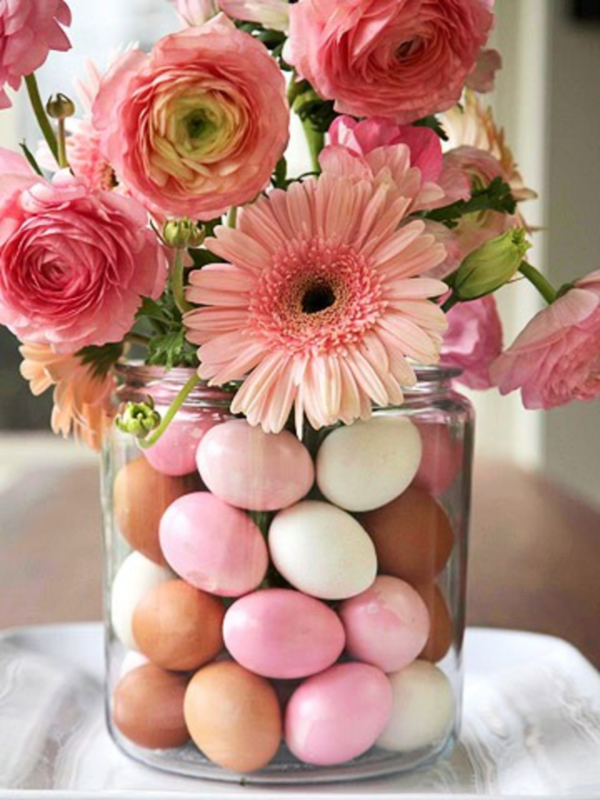 Center the vase, add the plastic eggs around it and drop the flowers in last. 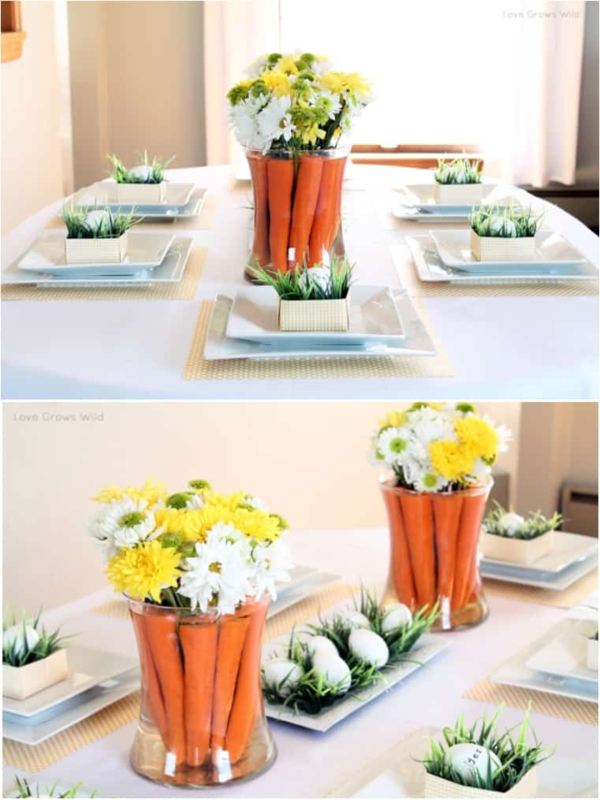 Use a bunch of the best-looking carrots you can find in a large glass vase for a recyclable centerpiece. 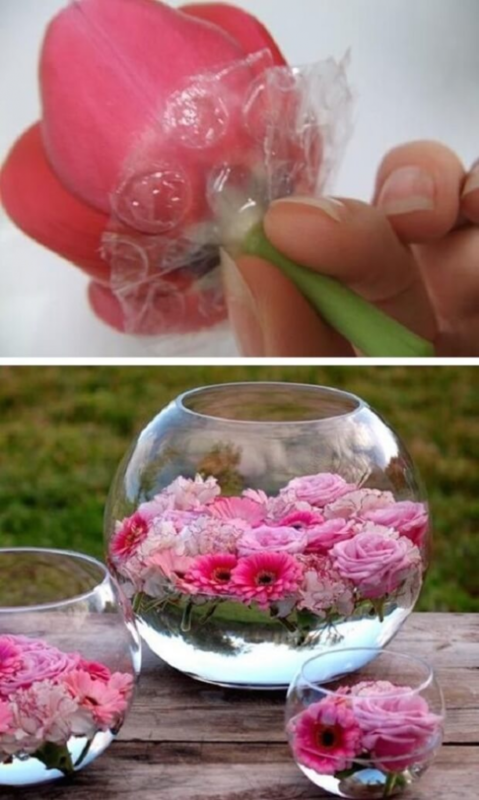 Bubble wrap is the secret ingredient for these floating arrangements in fish bowls. 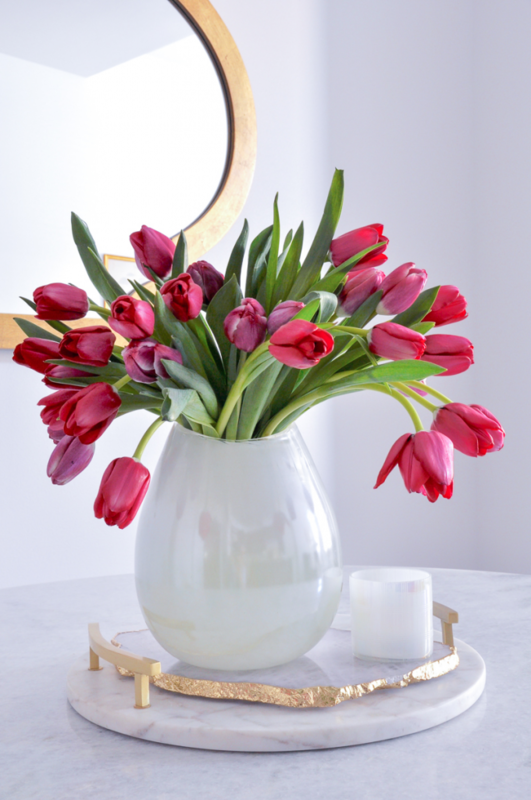 Tulips in a simple pitcher never looked so elegant as in this simple idea for a centerpiece. 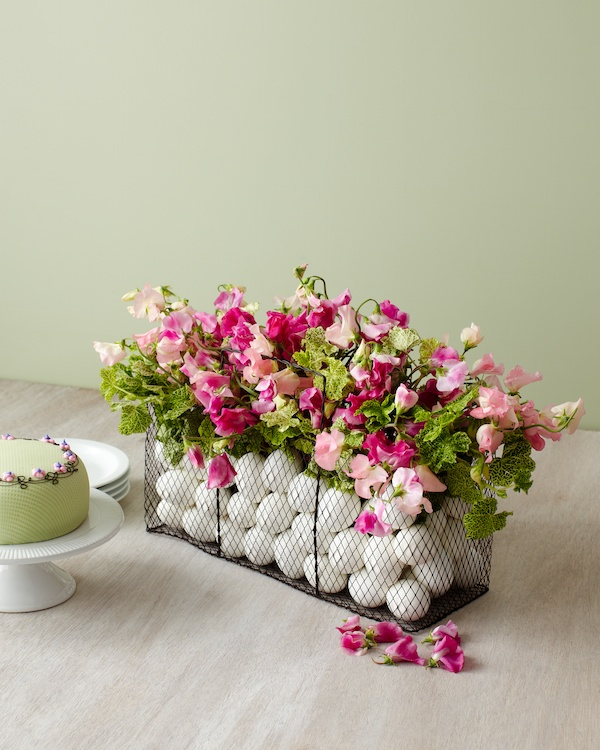 How about the simplicity of a wire basket, silk blossoms, and a couple dozen artificial eggs? 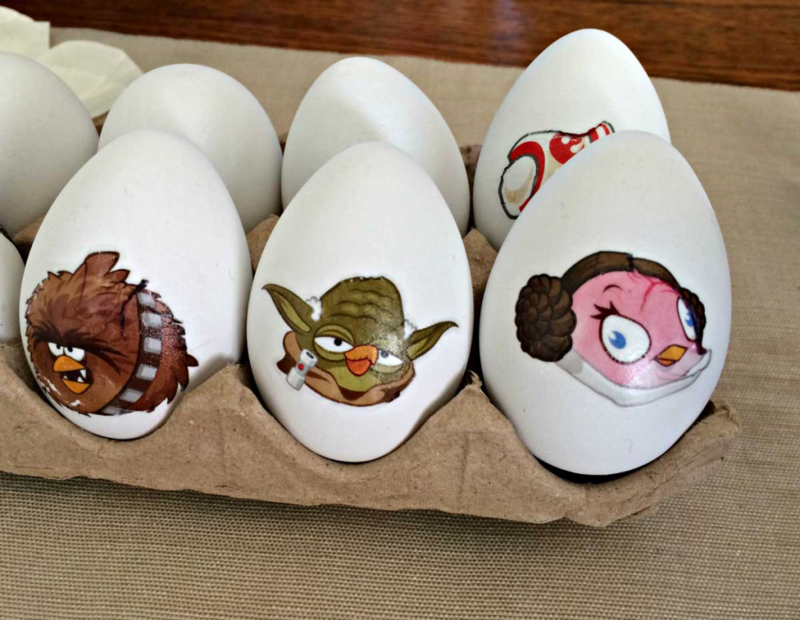 The classic in DIY Easter crafts is, of course, decorating your own Easter eggs. 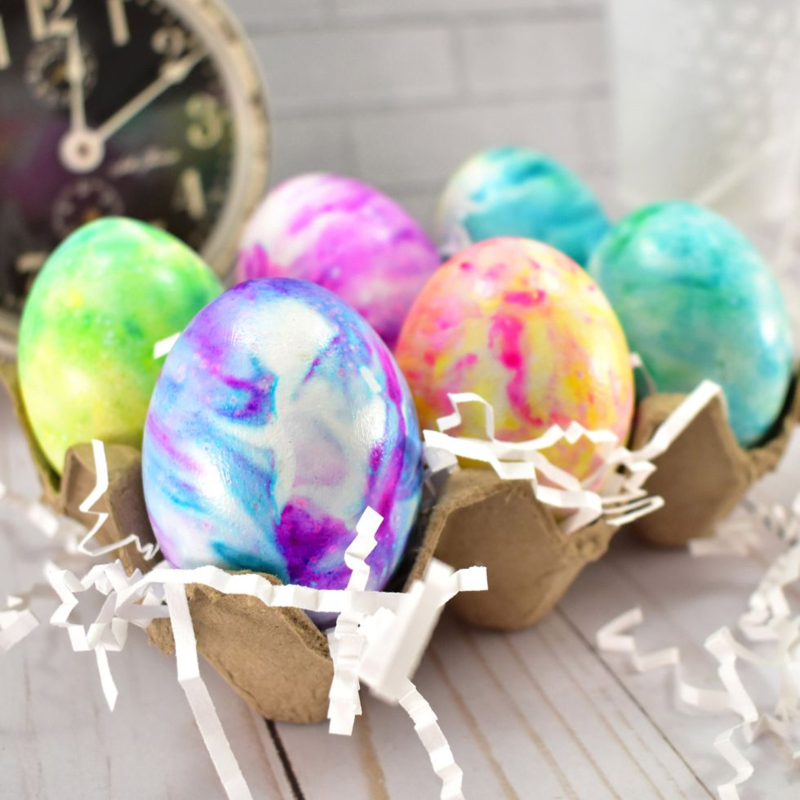 From earthy tones to just plain fun, here are some of the most innovative ways to dye and create your eggs. 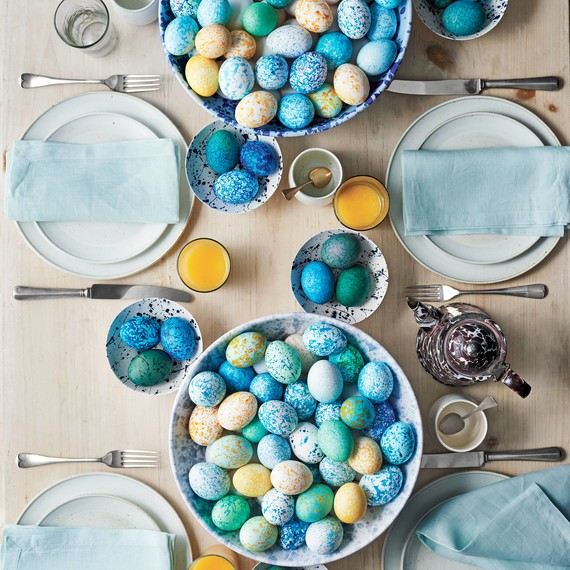 For this look, eggs are rolled in shaving cream that has had gel food coloring swirled in with a toothpick. 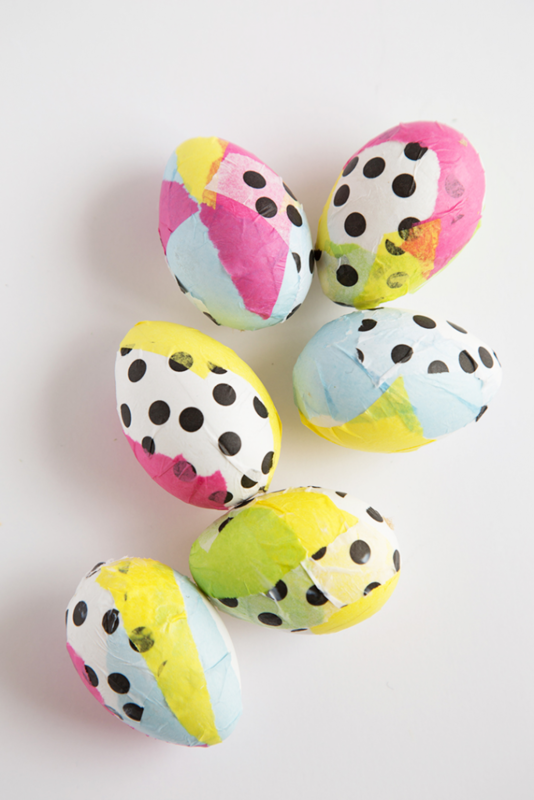 Allow the eggs to absorb the color, then rinse off under running water and pat dry. 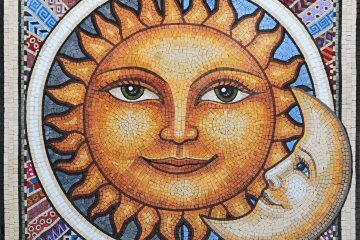 These have been dyed with purple cabbage. Use 1 head of chopped cabbage, simmered in 5 cups of hot water for 45 minutes and cooled. 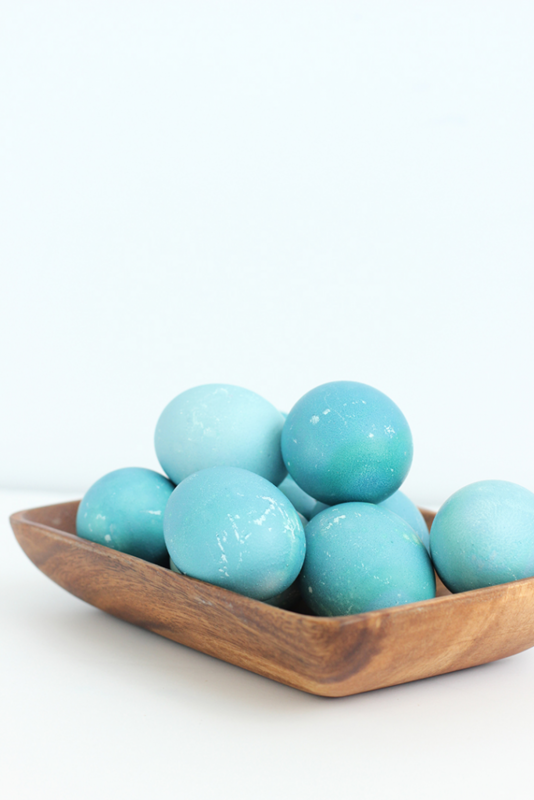 Strain out the cabbage, add 4 tablespoons of white vinegar, and then soak the eggs for up to 5 hours to achieve the desired color. 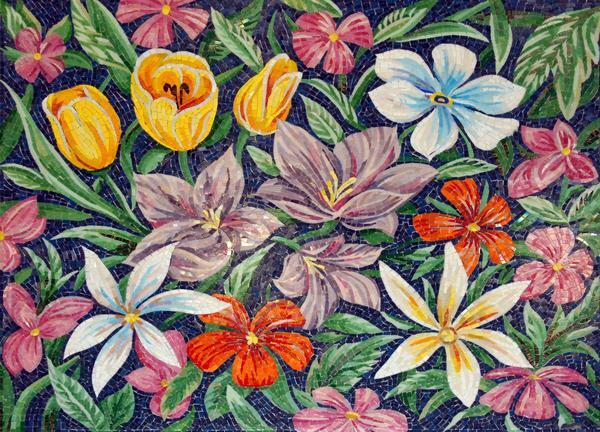 Tissue Paper in a variety of colors and patterns, applied with ModPodge, made these variations. 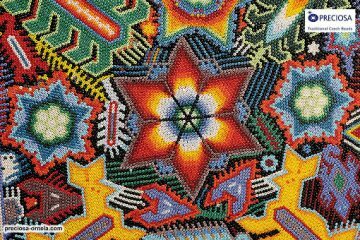 These patterns were created by shaking eggs in cups filled with a variety of dry items like lentils, lima beans, and popcorn that also had about 15 drops of food coloring added. 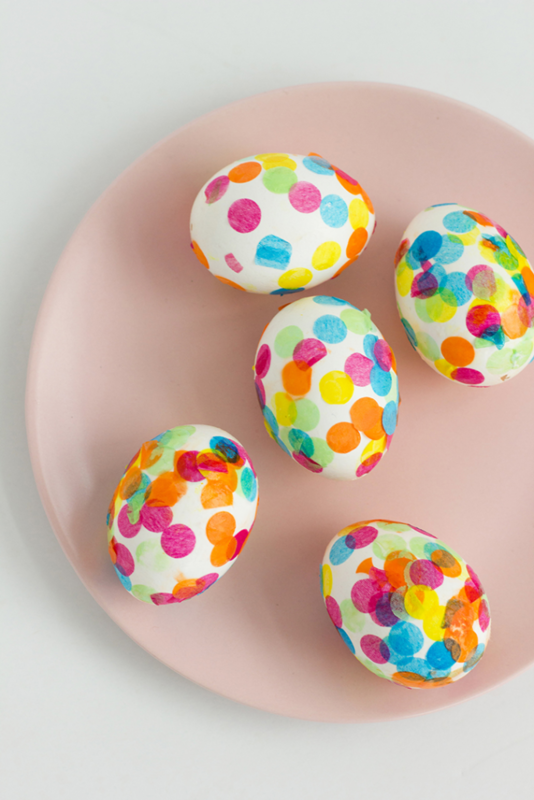 These eggs were decorated with “puffy paint” to create this effect. 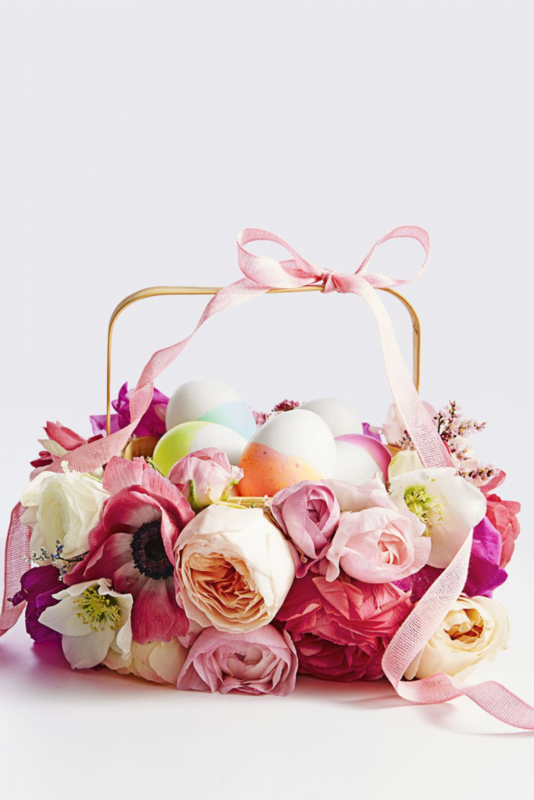 Don’t forget to have fun with Easter Baskets. 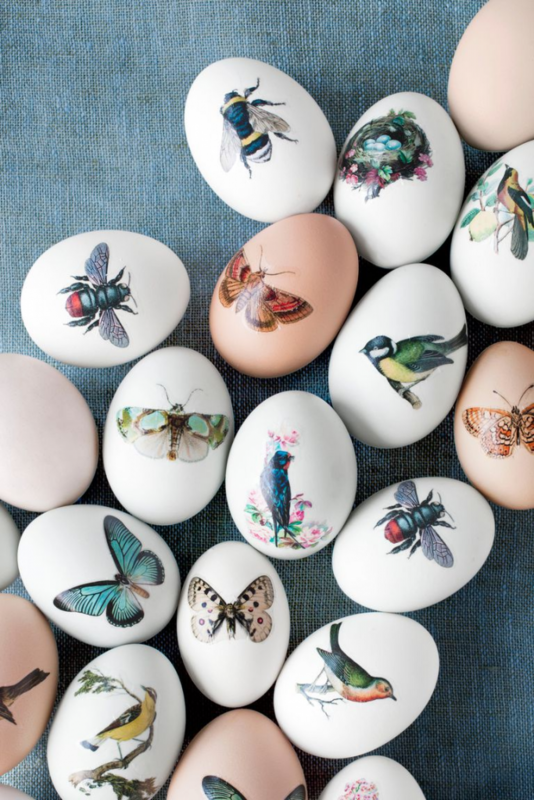 These will be important for egg-hunting fun and filling with treats on Easter Sunday. 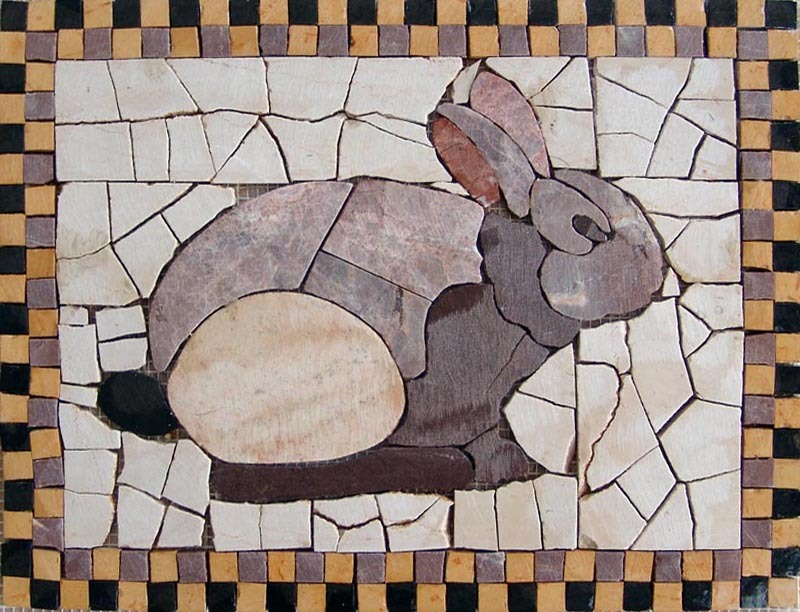 We’ve found some easy DIY projects to help you make the best ones as quick as a rabbit can hop! 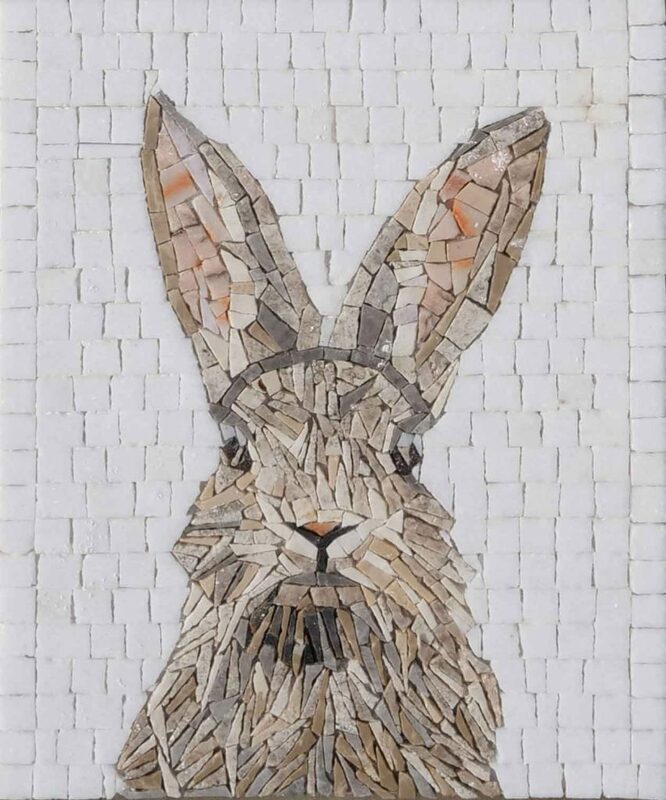 This handsome fellow is made simply from an apple basket that has been painted white. The features are drawn on with a paint marker, and large white pipe cleaners form the ears. 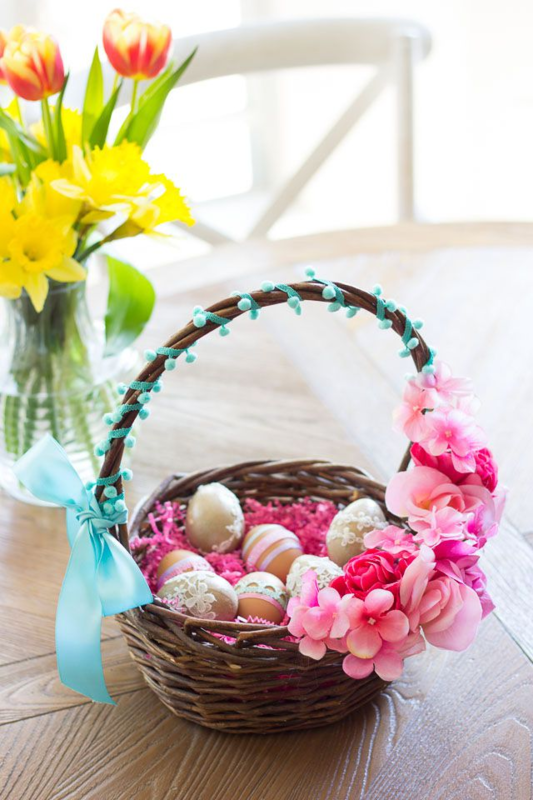 These baskets required only an old basket, some artificial silk flowers, and a glue gun to apply them. These designs can be an easy project with only some spray paint and yard to wrap the handle. 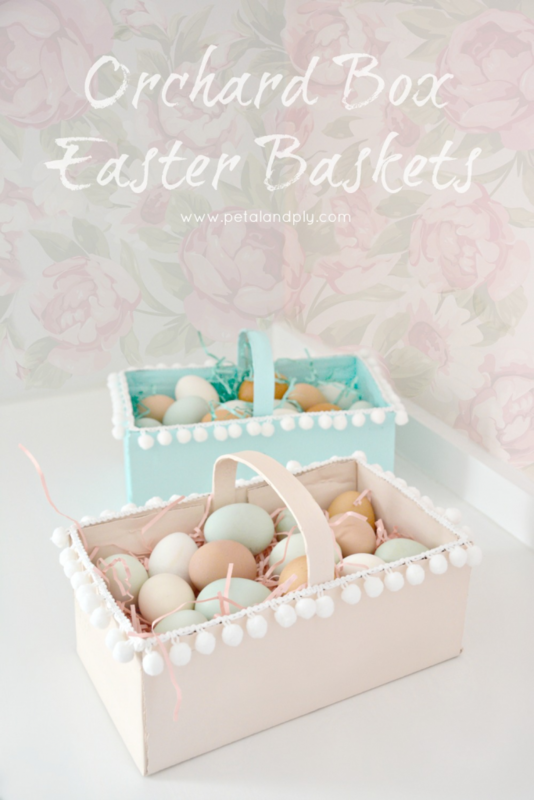 These are easily made from recycled berry baskets, which already have the handle attached. They were painted with good opaque paint, and the pom-pom trim was glued on. 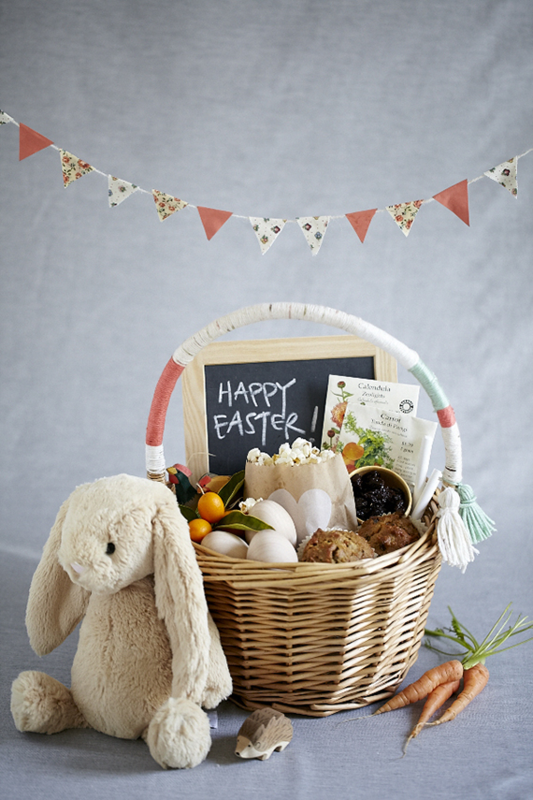 Have fun with your Easter crafts, and if you’d like to explore more of how to add the floral and natural design elements that accompany this Spring holiday, be sure to check out Mozaico’s selections. 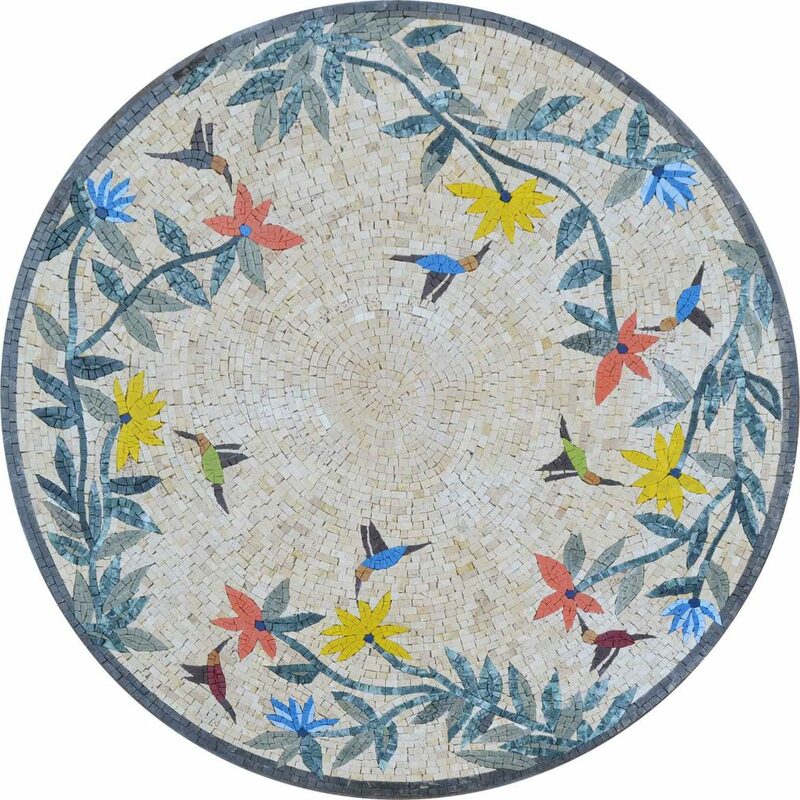 They have pieces that will add to the beauty to your home and garden space year-round.